Martin is a native of Denver, Colorado. He graduated from Denver South High School and went on to study finance at the University of Colorado. Being bilingual in the English and Spanish languages has proven a great compliment to Martin’s skill-set. He started his real estate development career early in life, as his father was a developer/custom homebuilder in Metro Denver for many years. Since 1982, after college, the first eight years of Martin’s brokerage career included residential development and real estate brokerage. During this period of time he earned his CRS (Certified Residential Specialist Designation). Martin’s involvement in the development, construction and ultimate disposition of communities such as Threamoor, Columbine, SouthMoor Park, Writer’s Willowcreek and Briarwood Home’s Gateway subdivisions are a few of his many notable accomplishments. Mr. Moynahan enjoyed founding and moving beyond Sanctuary Custom Homes, “Building uniquely personal residences for the uncompromising tastes of Colorado’s most distinguished homeowners”, in the Buell Mansion subdivision, which specialized in homes priced from $2,000,000.00. The lion’s share of Martin’s career has been dedicated to commercial real estate brokerage. 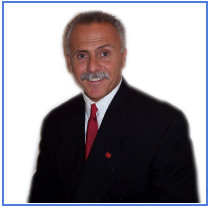 Martin is able to facilitate client’s needs for Land, Office, Industrial, Multi-family or Retail. Business Opportunities (no real property included) acquisitions and or dispositions are also familiar territory. Martin enjoys working with the numerous small business owners, which represent some 85% of our American economy. Early on, his efforts earned him the prestigious CCIM (Certified Commercial Investment Member) designation; which requires $10,000,000.00 in personal volume, prior to attainment of the designation. 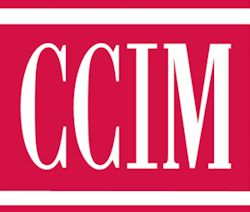 Of the 135,000 commercial real estate practitioners nationwide, less than 11,000 currently hold the CCIM designation. CCIM’s are recognized experts in commercial real estate brokerage, leasing, asset management, valuation and investment analysis. Their commercial experience encompasses principal acquisition, disposition and Landlord/Tenant representation as well.